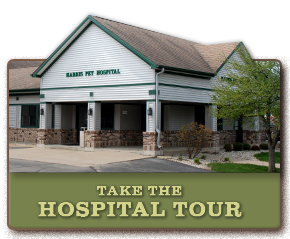 Because of our commitment to quality Kenosha County veterinary care, pet owners from Kenosha, Paddock Lake, Burlington, Prairie Pleasant, and surrounding communities have come to rely on Dr. William Harris and the team at Harris Pet Hospital as compassionate and skilled partners in the care of their beloved companions. When a pet receives proper veterinary attention, along with a loving home, he or she has the best chance of living a long and happy life. In order to provide a superior level of veterinary medicine, we place great importance on hiring only the most compassionate and experienced veterinarians and veterinary technicians. Each member of our medical team is skilled in the advanced techniques of pet dentistry, exotic and pocket pet care, reproductive services, and advanced surgical technology. 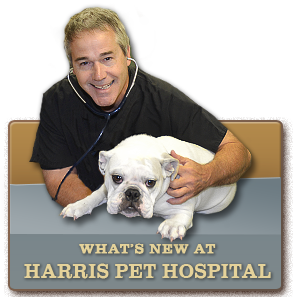 Harris Pet Hospital reflects the best that veterinary medicine has to offer. We incorporate state-of-the-art technology, exam rooms, diagnostics, laboratory, and other medical assets into a veterinary facility that promotes a calm, home-like atmosphere for our clients and their pets. Our surgical suites are equipped with the most up-to-date surgical technology available today. Part of our commitment to providing quality care is that we are also diligent about promoting education and responsible pet ownership. We work closely with you to understand your pet's unique health needs and to develop a preventive plan that best meets those needs. Despite the most advanced care and nurturing, however, a beloved pet may still develop an illness or be injured. Our internal medicine and surgical expertise, as well as our advanced diagnostics and veterinary laboratory, ensure your pet receives a quick and accurate diagnosis followed by the proper treatment. We recognize that providing the highest quality veterinary care includes keeping you, our client, at the center of all we do. After all, we are pet owners ourselves and understand how important it is to be received and treated by a staff that is knowledgeable, welcoming, and courteous. It is our goal to ensure the health and well-being of your pet, and also to be your partner in strengthening the bond you share with your companion. 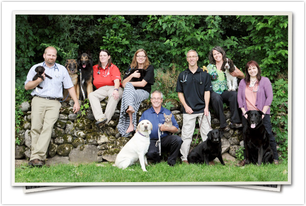 We thoroughly discuss any diagnosis and treatment options with you before we continue with your pet's healthcare plan. Please take a look at our website. 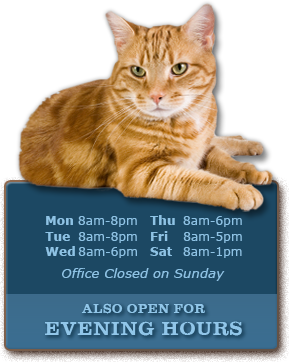 Many of the services we provide are listed along with information about our veterinarians and administrative staff.